No matter how you look at it, the numbers are staggering. In 2007, around 3.1 million Australians (1.4 million males and 1.7 million females) were estimated to experience chronic pain. These figures do not include children and adolescents, who can also suffer from chronic pain. Remember, these numbers would have also increased significantly since then. Where acute pain is generally considered a normal and protective sensation that alerts us to an injury; chronic pain is an abnormal and maladaptive sensation and a response to tissue inflammation or neurological damage that has occurred in the past. Chronic pain is of no biological value to the human body. Pain can be considered chronic when the pain persists for more than one month following anticipated tissue healing or if pain continues for longer than three months. Chronic pain is usually triggered by an acute injury, disease or process that the body has long since recovered from. Some of these initial triggers can include persistent pain after multiple types of surgeries like discectomy, laminectomy, spinal fusion, thoracotomy, mastectomy and herniorrophy. Other causes include trauma, herpes zoster, a spinal injury, a joint abnormality, and even osteoarthritis. In fact, anything that can affect nerves detrimentally can cause chronic neuronal changes and dysfunction, which can then lead to persistent sensory changes and pain (peripheral and central sensitization). They key is to manage chronic pain as a chronic disease and not just a symptom of a disease yet to be diagnosed. Crucial to effective chronic pain management is early detection and diagnosis. Have a high index of suspicion. Think about it early. Diagnose it early. Manage it early. Chronic pain is inseparably associated with alterations in mood, as well as sleep disturbances and varying degrees of physical restrictions and loss of function. Patients rapidly lose a sense of their place at home and in their communities. They loose faith in their ability to cope and manage themselves. This constellation of issues together with the pain, which can be severe and relentless, means that the management needs to be equally multi-faceted and needs to focus on aspects that are relevant and unique for each patient suffering from chronic pain. A good pain management treatment approach should comprise a medical approach using medications and interventional pain procedures combined with an allied health multidisciplinary approach. Even if the pain can be effectively reduced using medications and advanced interventional techniques, the person in pain needs to be appropriately assessed and managed too. This involves an allied health team approach. This is where a dedicated team comes into play. They key is focusing on each patient to de ne issues and barriers and then work on these issues to promote recovery and control. Another way of saying this is, manage the pain AND manage the person in pain! The pain is managed using combinations of medications and interventional therapies, whether diagnostic and/or therapeutic. 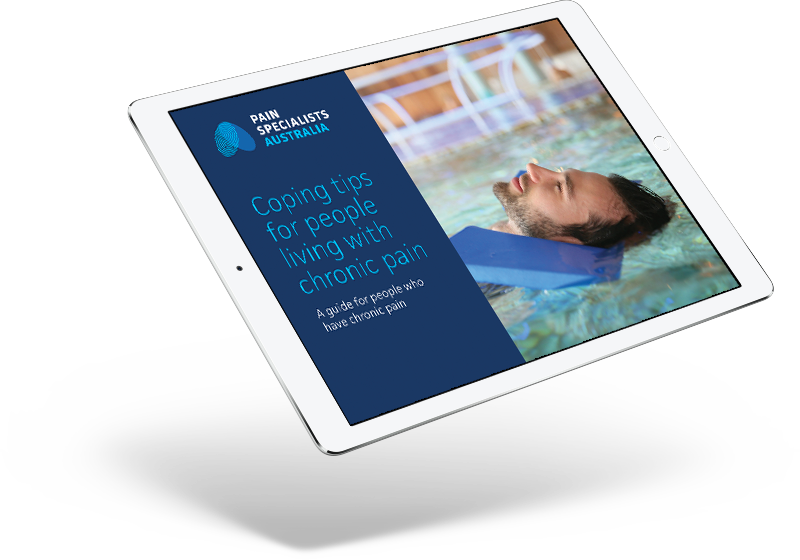 The person in pain is then managed by a team of allied health professionals that use an active management paradigm to empower and motivate patients while getting them to convert from a passive lifestyle to an active lifestyle of self- management. Medications and interventions have to be chosen and utilized with care so that they form a part of this holistic approach. When done correctly, the patient has the tools and the ability to manage pain and restore function and to reduce dependency on medications alone. Pain physiotherapists restore function, reverse deconditioning and use specialized techniques aimed at reversing the sensitized pain pathways. Pain psychologists work with the patient to understand the central changes that cause sensitization and to learn techniques to deal with and manage their pain, stress & anxiety levels. They may also focus on sleep hygeine, coping strategies and even relationship issues. Pain occupational therapists literally help the patient in occupying their time in work, rest and play. This leads to patients reengaging and reconnecting with work and life. A pain nurse is the glue in the system, supporting and making recommendations along the way as well as smoothing out the process. Written by Dr. Simon Cohen – pain specialist & paediatrician.